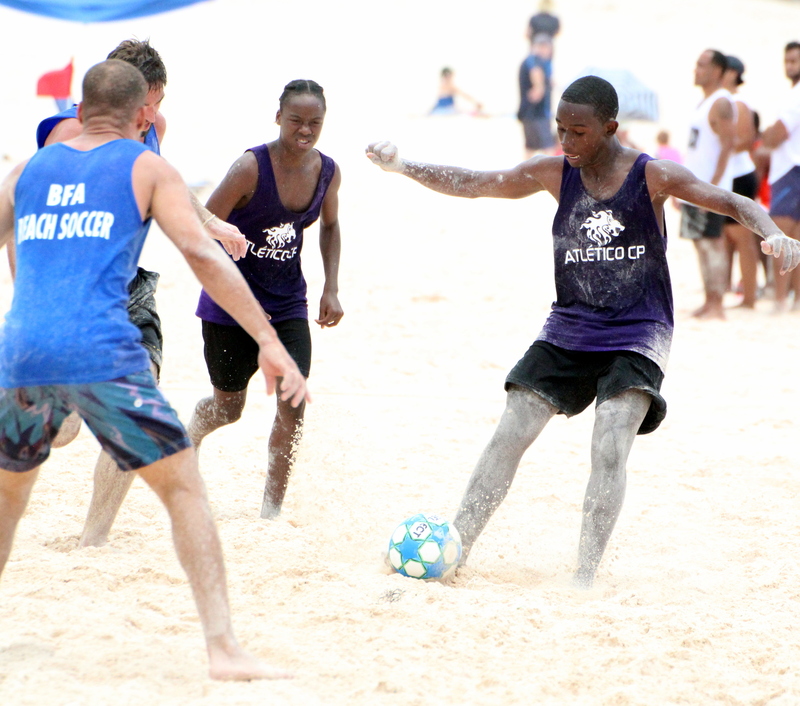 The Bermuda Football Association hosted their second Corporate Beach Football Tournament at the Horseshoe Bay Beach. Athletico CP were crowned Champions after defeating last year’s Champions KPMG 3 – 2 in the Final. Both Finalist came out of the same Group, Athletico CP went through their Group Stage undefeated scoring 12 goals and they conceded 2, while KPMG won two of their Group matches, with their only defeat coming against Athletico CP. Three teams in Group B ended with records of 2 & 1.